"As much as I like to snowmobile during the winter this photo makes me long for the warm weather again here in Boston." What we see, of course, is a gondola on the Charles River in Boston, during the most golden part of what photographers call the "golden hour". 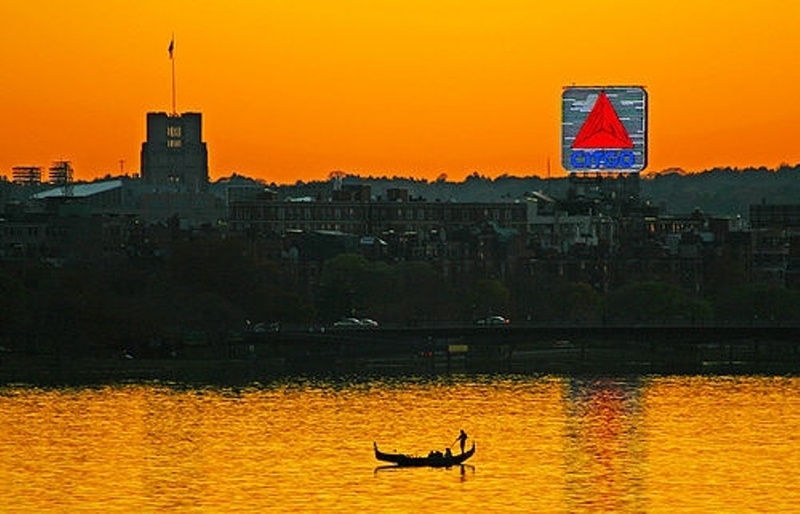 When I first saw the image, I was a bit confused by the bright CITGO sign. I now know that it's been a Boston fixture for a long time. My guess is that Joe, being a true Bostonian, likes the photo even more with the CITGO sign in it. To learn more about this iconic sign, check out the following links.